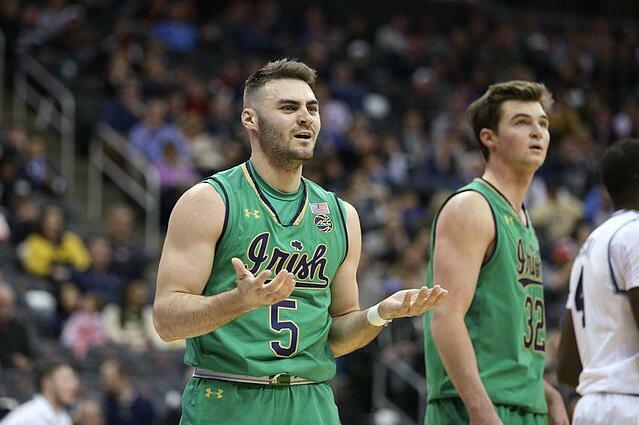 Every year I find myself saying 'those jerseys are sweet' in reference to teams competing in the NCAA March Madness tournament. 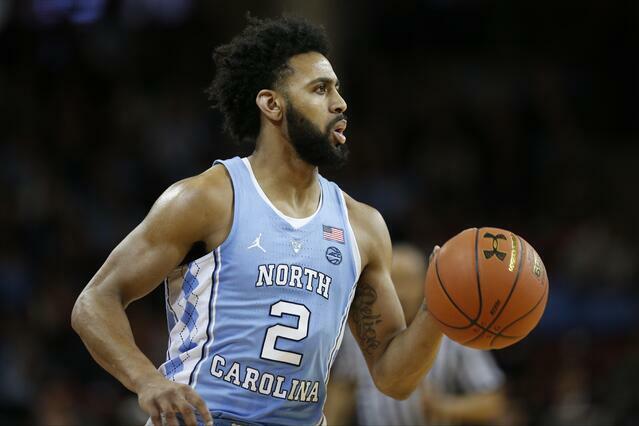 Although uniforms like UCLA are a classic and will always be among the most visually-appealing, there are some teams entering the tournament that are hidden from the limelight, unable to showcase their uniforms to the country until the Big Dance. 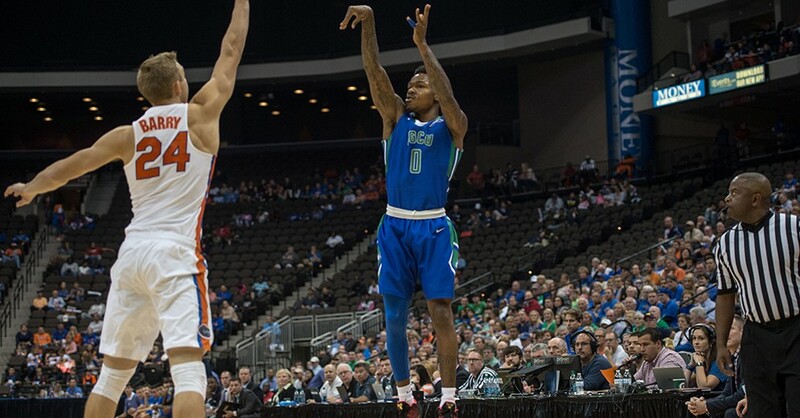 For example, Florida Gulf Coast University was not only noted for their Cinderella story in the 2013 NCAA March Madness tournament upsetting a #2 and #7 seed as a #15 seed to reach the Sweet Sixteen, but also for their eye-catching color blend on their uniforms. Needless to say, although some teams showcase more talent than others in the tournament, it is no secret that certain teams have better uniforms than others. Now that the play-in games have been completed and the 64-team tournament is officially set, we can talk about what's obviously the most important feature in this tournament, the uniforms. The Golden Eagles enter the tournament as an at-large team from the Big East. 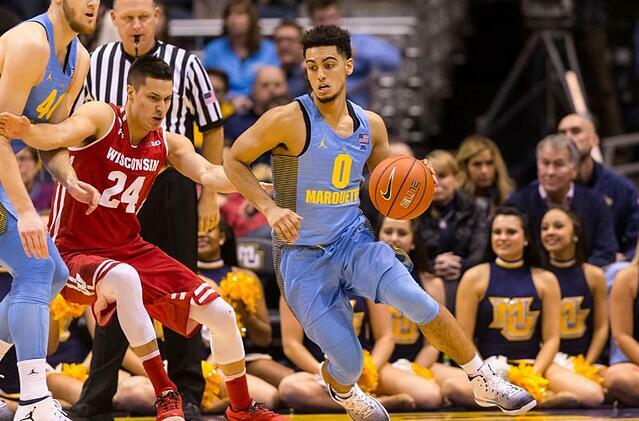 Marquette's blue and gold colors already look well together (as seen by the cheerleaders in the background). What makes their jerseys unique and notable as making the top 10 list is their variation of blue. This light blue color with black and yellow stripes from arm to knee on both sides displays an interesting blend of colors and patterns that somehow work. Side note: Marquette upsets South Carolina in the First Round. Duke takes the #2 seed in the East region. 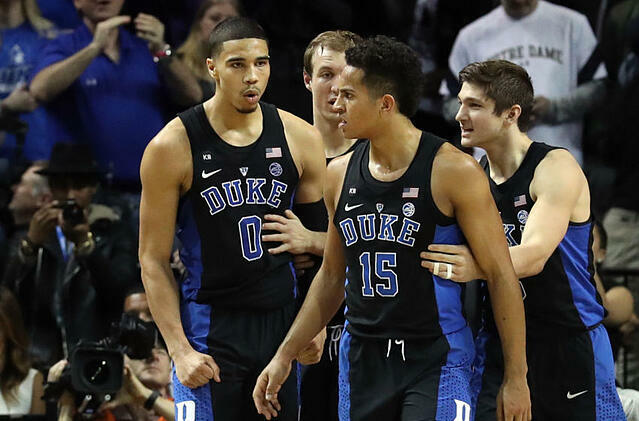 After an amazing and historical showcase at the 2017 ACC Tournament in Brooklyn, NY last week, the Blue Devils have displayed their deserving of a top spot heading into the Big Dance. Not only are they playing phenomenal, but also their uniform color balance is phenomenal. The blue text on black with solid royal blue strips on the side makes for a visually-appealing style. Side note: Duke is predicted by several analysts to reach the Final Four. 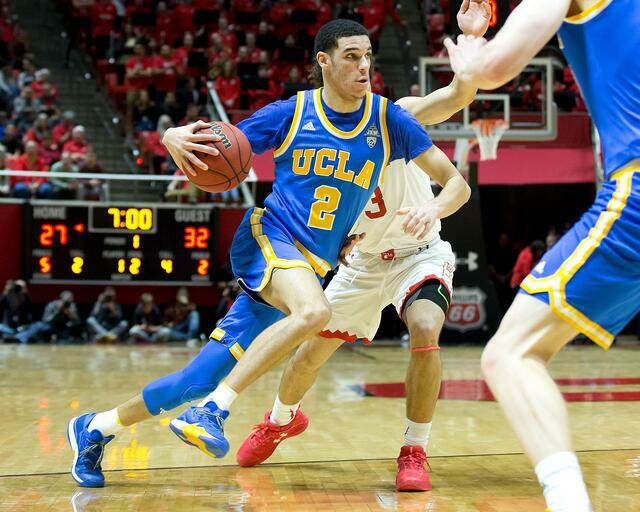 As mentioned earlier, the classic look to UCLA's uniforms will continually place them among the best jerseys in college basketball. Many uniforms over time begin to saturate and become dull - not the Bruins! Somehow the style of their uniforms has withstood time. Side note: UCLA is a heavy favorite coming from the South region with only four losses all season, two of which coming from the Pac-12 tournament champion and #2-seed in the West region, Arizona. 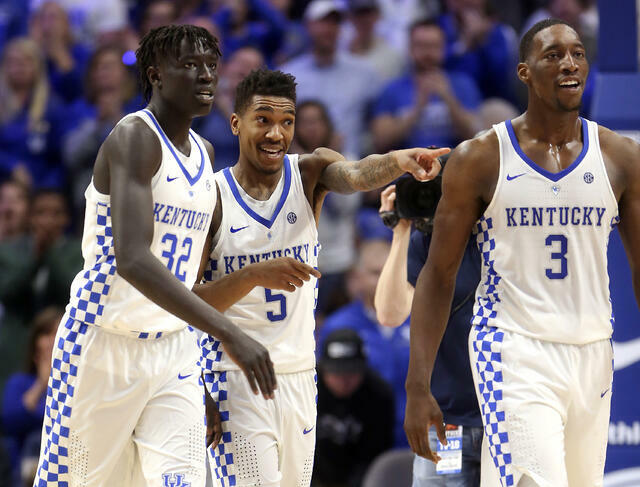 The University of Kentucky have an incredible NCAA postseason resume. Entering the South region as the #2-seed, the Wildcats look to bounce back from last year's second round to bordering state foe, Indiana. The Wildcats white uniforms with checkered blue, striped on the side, blue collar, and blue text creates a great blend between white and blue. Checkered design on uniforms for some reason look sweet, especially done with the right colors. Side note: Kentucky has the hardest pocket of any region. 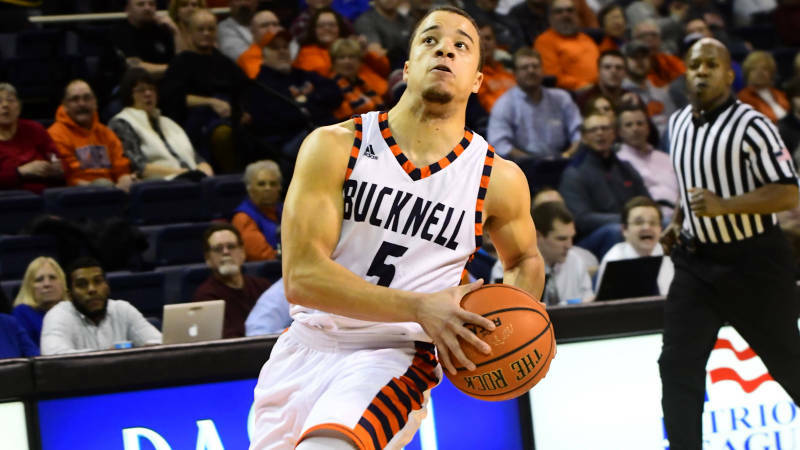 Assuming they can pull away from Northern Kentucky, they will have to face two strong teams, with experience in the tournament, Dayton or Wichita State. If they make it pass the second round, UCLA, Cincinnati, or even Kansas State won't make their appearance to the Elite 8 easy. C'mon. Only the Tar Heels can pull off a chic argyle design on their uniforms. The blend between white, baby blue, and black creates a relaxed, yet control vibe. As the #1-seed in the South region, it shouldn't be a shock that their uniforms and their style of play are somewhat balanced. Side note: UNC and Duke are located less than 15 miles away from each other and could potentially face off for the National Championship in Phoenix, Ariz.
Side note: After an upset last year to #13-seed Yale, Baylor will be ousted in the first round by #14 New Mexico State. The city of Wilmington, N.C. is not only known for its coastal essence, but also for its local university reaching the Big Dance five times in the last 15 years. The turn of the century has been amazing for UNCW's basketball program as they entered the tournament for the first time in school history in 2000. Last year the Seahawks gave #4-seed Duke a run for their money, losing 93-85. The Seahawks have a great blend of colors. The navy blue and teal mesh very well together, depicting a coastal escape. Due to the darker colors of navy blue and teal, the gold stripes around the perimeter of the uniforms pop for an awesome clash of varying colors. The font choice on ther uniforms are odd, yet appealing. Although the numbers look like letters (see photo below: 15 looks like IS), the unique form and teal color makes for a great combination. 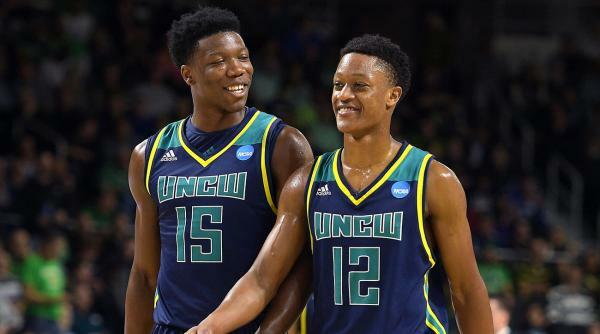 Side note: UNCW could add to the infamous list of #12-seeds upsetting #5-seeds in the First Round of the tournament with a win over Virginia. Like UNCW, the Eagles use the beautiful coastal colors to their advantage. Usually green and blue are colors designers refrain from using. However, FGCU utilizes a perfect white intercept to mix the two colors nicely. Looking at their uniforms, you are immediately transported to a beach. Their uniforms convey the message of sand, ocean, and relaxation. I mean just look at them, doesn't it make you want to feel the warm Florida sun as you dig your feet into the sand, holding a cold beer? Side note: FGCU is credited for the brand #DunkCity; which occurred during the 2013 NCAA March Madness tournament. The Terps come in a solid second place. The most intriguing and original aspect of Maryland's uniforms, which warrant them the number 2 spot in this selection, is the connection to the state of Maryland flag. The integrated design of the state's unique flag to the uniform introduces a new form of community in sports; representing a team's state as the major public university. 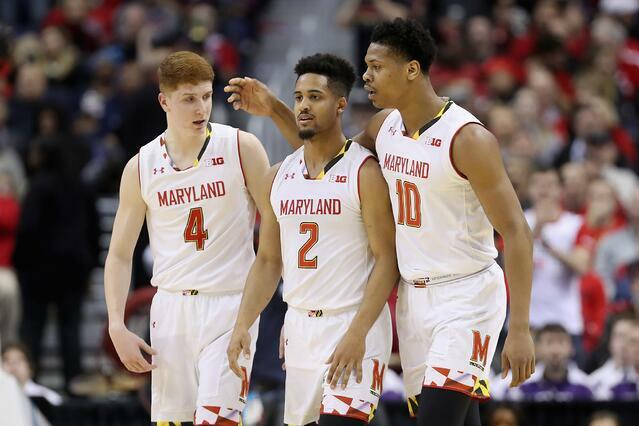 Side note: If Maryland can get passed Xavier, they will make the Elite 8. Before the best uniform is unveiled, a few schools have earned an honorable mention. 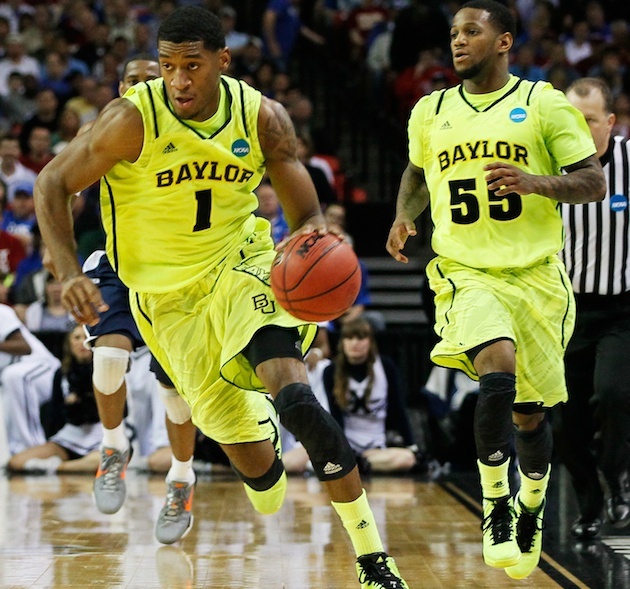 It may come as no surprise that our favorite jersey in this year's March Madness is the Oregon Ducks. 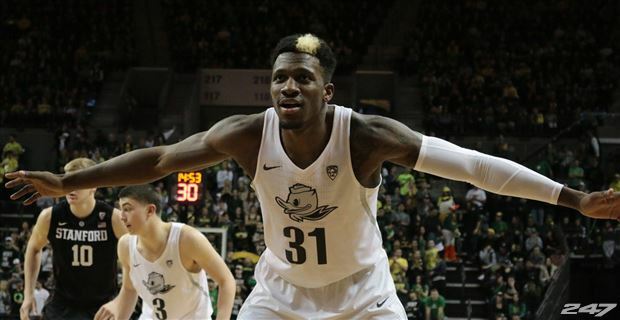 The Ducks cease to amaze their fans and speculators as they consistently one up their gear; from eye-popping highlighter to simplistic and minimal white background with a black outlined image of their duck logo. Also, Oregon's home court design adds an extra feature to their uniforms that bring to life a story of excellence. 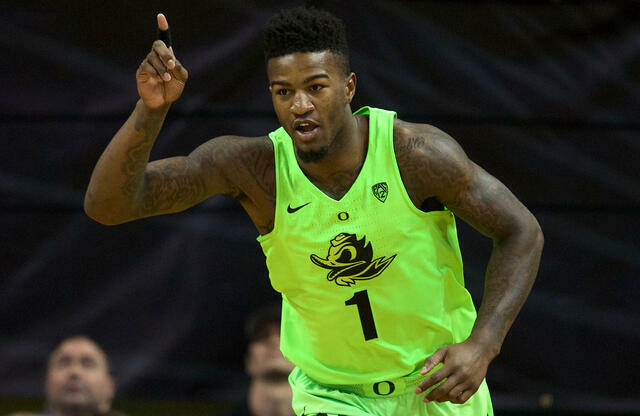 Side note: This squad is not the only team at the University of Oregon to rock astounding uniforms (see the Ducks' football team). After all, 90% of playing is looking good. No wonder the Ducks are a #2-seed heading into the tourney; they know fashion and talent can go hand-in-hand. At SquadLocker, we have designers at-the-ready to create a new logo for your team from scratch or enhance an already existing logo. If you like the colors or designs from this list and want to incorporate them onto your team gear, visit our artwork page to learn more about how we can make that happen.